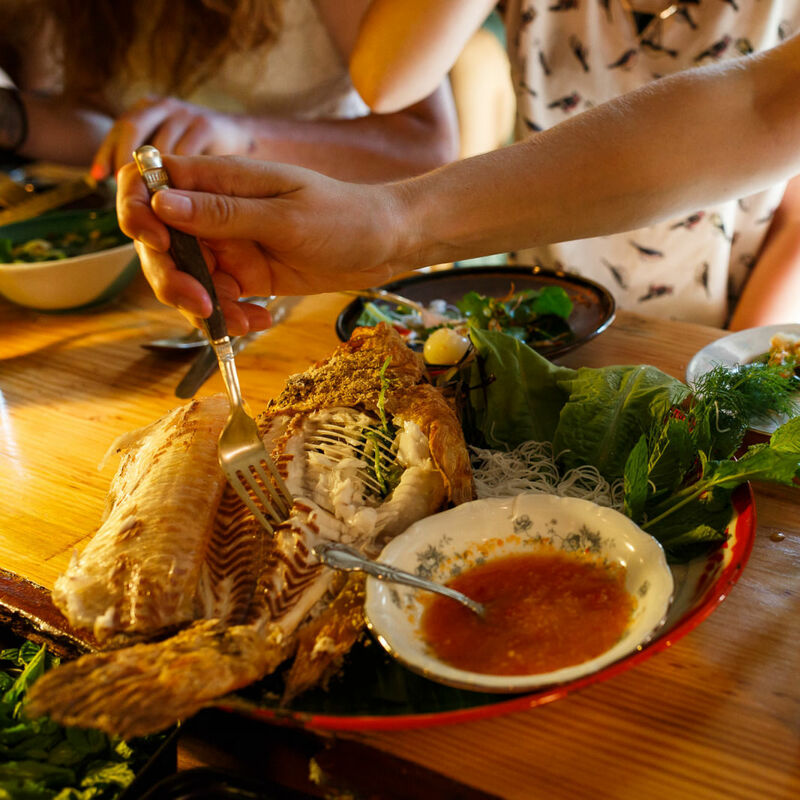 Hat Yai’s Southern Thai soul food, with its curries and spice-crackling fried chicken, would seem to have nothing in common with Jolie Laide’s esoteric tasting menus, served in 12 painstaking courses. 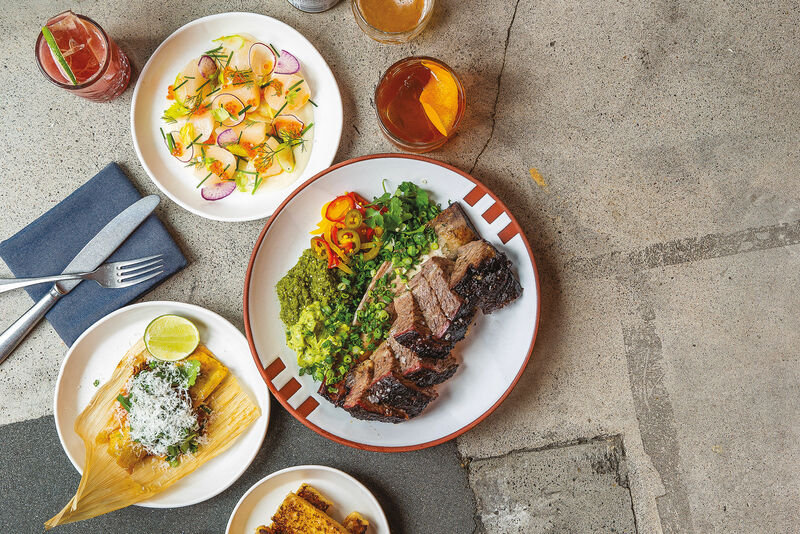 But come August, if all goes well, both Portland spots will open side-by-side under one roof, as culinary neighbors united by friendship and a strong knack for personal food. 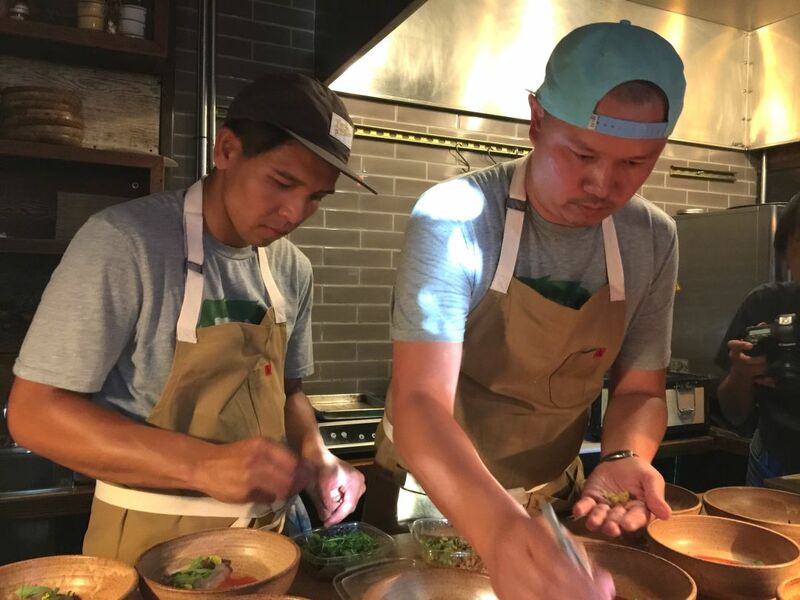 Eat Beat has learned that restaurateur Akkapong “Earl” Ninsom, best-known for his critically acclaimed Langbaan, has signed a lease for 3,500 square feet on the ground floor of the new, six-story Modera Belmont apartment building at 685 SE Belmont St. The plan calls for three eateries (two of which plan to open by August) curated by Ninsom and business partner/bar man Alan Akwai. Vince Nguyen (left) with Earl Ninsom (right) at Langbaan. The biggest chunk will go to an expanded outpost of Hai Yai, Ninsom and Akwai’s terrific little Thai curry joint at 1605 NE Killingsworth (see PoMo’s Best Restaurants 2016). 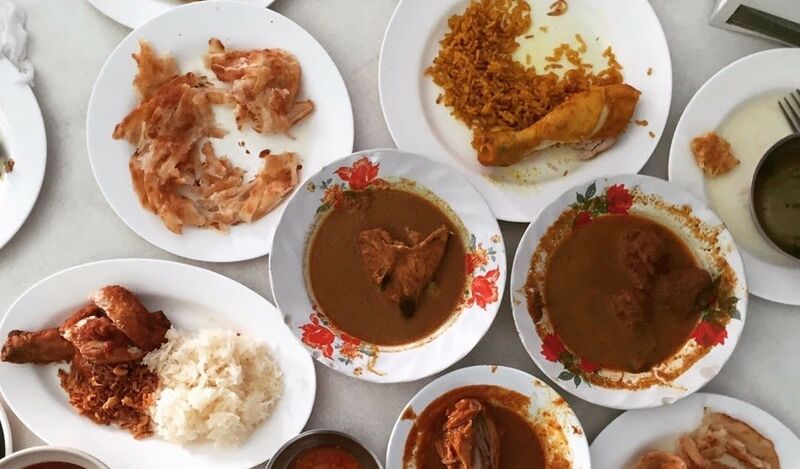 Here, in a counter-service bunker, Thai chefs dig deliciously into specialties from the Hat Yai region, the food of Ninsom’s grandfather (“what the locals eat,” as he once put it), flavored by that city’s large Muslim population and proximity to the Malaysian border. 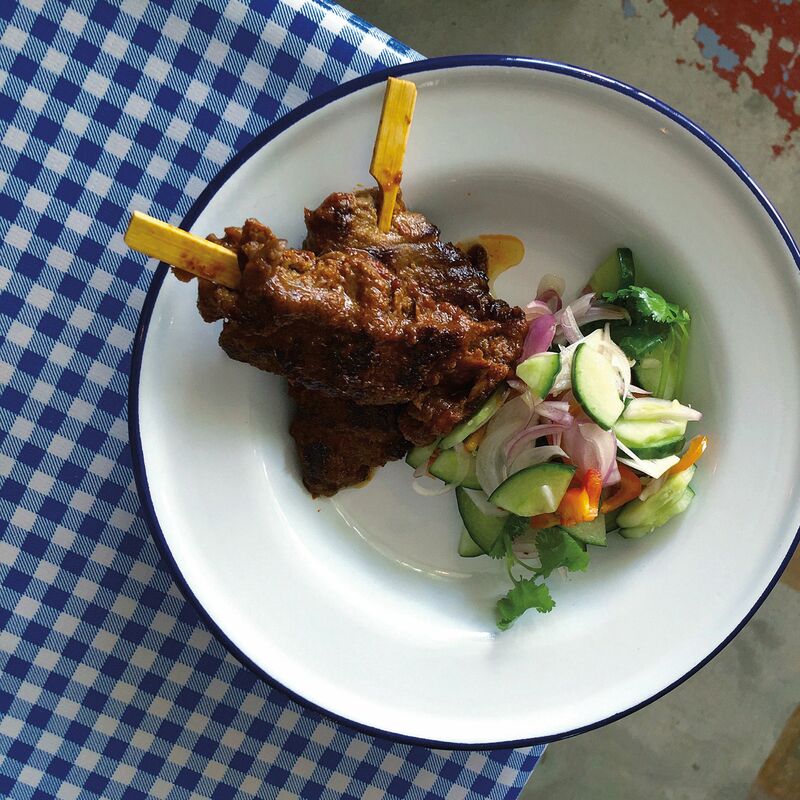 Signature dishes, from fried chicken showered with fried shallots to 15-ingredient Malayu-style curries mopped up with pan-fried roti bread, will carry over to the new space. But according to Ninsom, Hat Yai 2 will have different dishes, too, with a seafood emphasis. Already in the works: Phuket-style Dungeness crab curry and baby octopus in Thai-style squid ink broth, inspired by a recent, month-long staff eating retreat in Thailand. Counter service will remain (sigh) and seating will double to 60 inside, 40 outside. 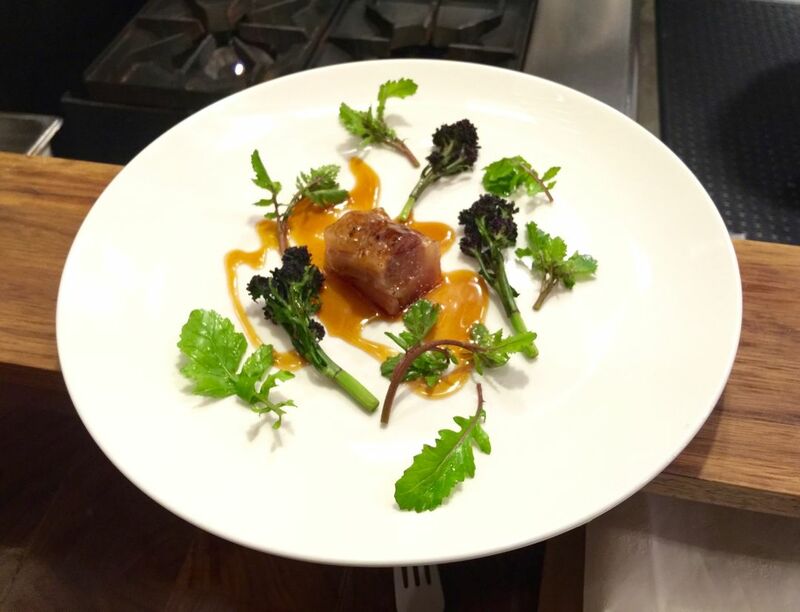 Beef tendon with brassicas at Jolie Laide. Steps away, Jolie Laide will jump from ambitious pop-up (currently on at Langbaan on Monday nights) to a small brick-and-mortar, with a new name: Berlu. Chef/owner Vince Nguyen’s scheme for his 700-square-foot plot includes sheer curtains, eggshell colors, and intimate, tasting menu dinners, executed with hero David Bowie's "fearlessness and constant progression." 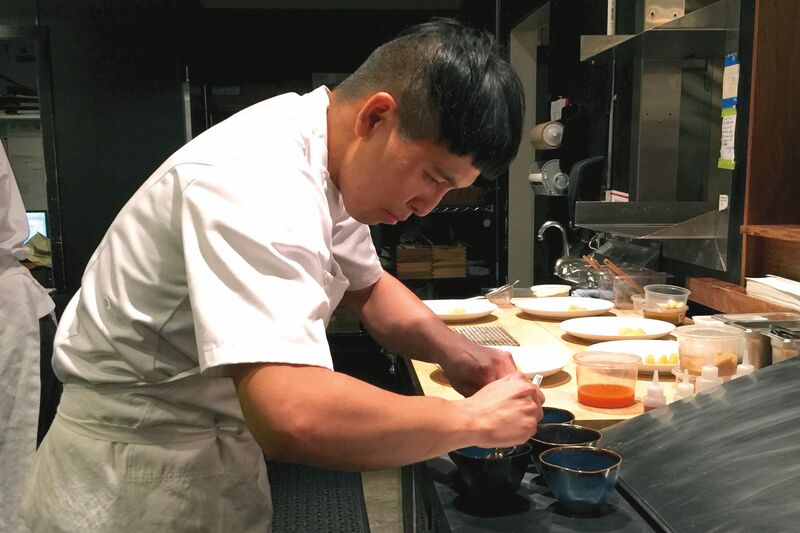 An alum of Portland’s Castagna and San Francisco’s famed Coi, Nguyen is as serious about the seasons as you can imagine; no one is thinking harder about the internal workings of an artichoke or sprouting brassica. Ninsom has helped nurture the 31-year-old’s dream, and it’s nice to see Nguyen get his own space at last. Meanwhile, Top Chef winner Mei Lin might be eyeing the third space to launch a small Chinese congee spot, with classic and innovate mix-and-match toppings. 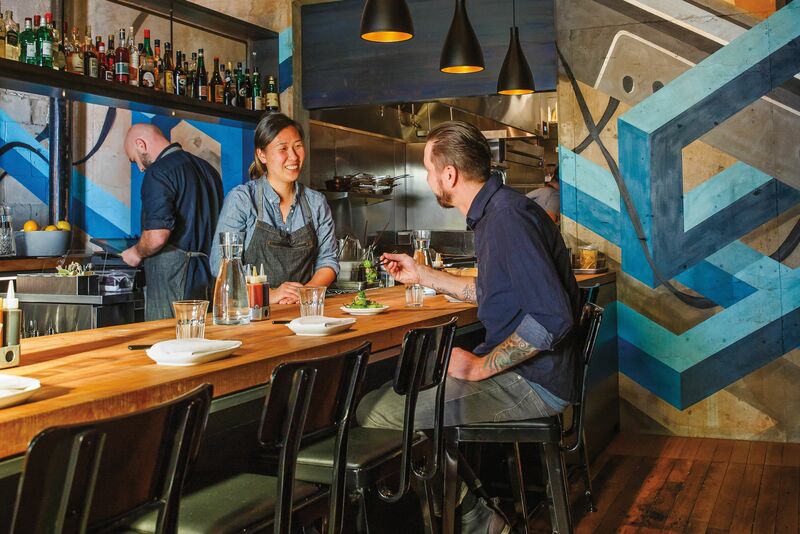 Since besting Portland challengers Gregory Gourdet and Doug Adams in Season 12 by a few delicious crumbs, Lin adopted Portland as her home away from home, with frequent visits and newfound friends, including Ninsom. 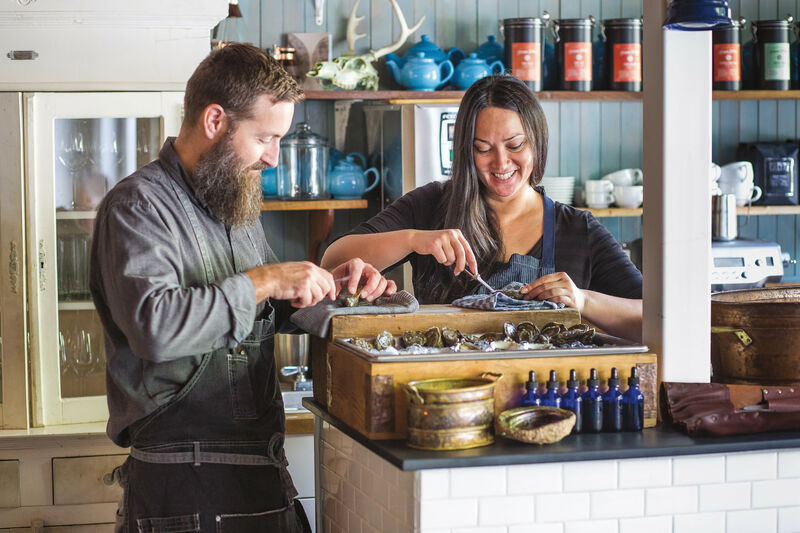 Months ago, she had an intriguing congee menu drawn up, but put the project on hold, then telling Eat Beat she needed to concentrate on her soon-to-open LA restaurant, Nightshade. But Ninsom remains hopeful that Lin will join his Belmont party in late fall or early winter. Stay tuned: This could be the power block of the year. P.S. As if all this news wasn’t enough, Ninsom is also working on a Thai curry cookbook, featuring recipes from Langbaan and Hat Yai.